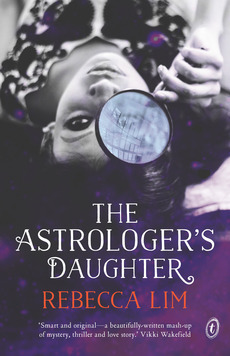 The Astrologer's Daughter is the biggest surprise on my list. I didn't know anything about the book before I sat down to read it, I'd never read anything by the author before AND I actually thought I was reading a book from a different publisher than I was (I thought it was a Penguin book rather than Turnaround) but I gave this book a chance and I'm so glad that I did. It's very different than I'd expected it to be. This is a mystery and a contemporary story but it has this wonderful inclusion of astrology and a means of using astrology as a way of compiling forensic profiling information. It was brilliant. I also loved the main character's musings about race and racism and being mixed-race. I loved her relationship with her mother and this reluctant friendship she has with a boy in her class that turns into more. 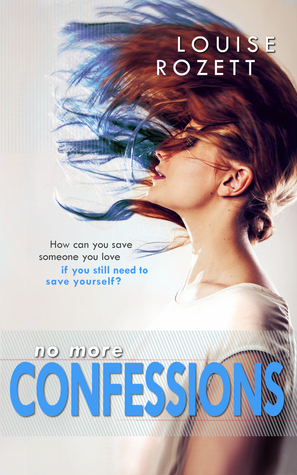 This book was so very emotional and addictive reading for me and I cannot highly recommend it! 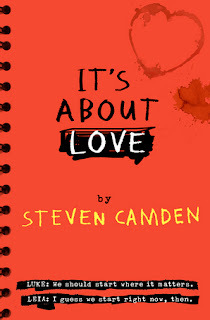 I absolutely adored It's About Love by Steven Camden! 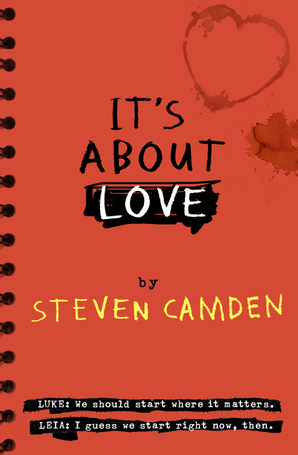 I heard Steven Camden speak at YALC over the summer and became hugely intrigued by this story. I loved how much this book is about writing and screenplay and the creative process behind that. It's also a book about film and has some fantastic film references. It's about growing up and friendships and about your hometown. It's about falling in love and about family. It felt like this book had a great deal truth woven into the words and I just loved how emotional I felt while reading this book. First of many fantasy books included on this list, we have Firewalker by Josephine Angelini. This is the explosive sequel to Trial By Fire which was equally incredible. I think what I loved so much about Firewalker is that everything that I loved about the first book was brought up a notch in Firewalker. Everything felt MORE emotional, MORE thrilling, MORE addictive. 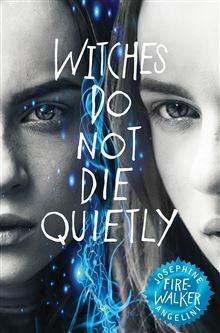 I find it incredible how Josephine Angelini manage to write such a pacy, exciting book with such a fantastic setting and with amazing characters with complex, emotional relationships together. Rowan and Lily are totally my OTP. And I'm dying to read the next one. Give it to me. 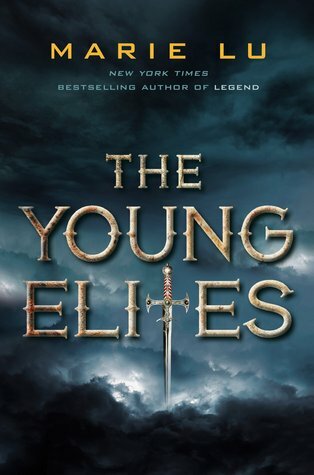 So much to love about The Young Elites. I love the setting and all the world-building involved in this fantasy land. I loved the characters and found it really interesting getting to know this band of supernaturally-gifted teenagers. But the reason that this book has made it onto my list of favourite reads this year is the main character, Adelina. I just adored her so much. I love that she's passionate and a bit wary of trusting anyone, including herself. 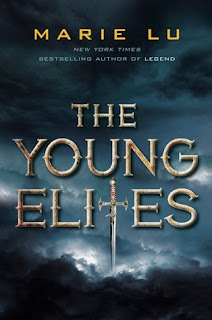 And I just absolutely adored that this book went to a very dark place and we explored some of this moral ambiguity and some of Adelina's pain and the rejection she receives from so many people in her life. I should have already picked up the sequel by now, but haven't I really hope that this trilogy continues to be wonderfully dark and exciting! 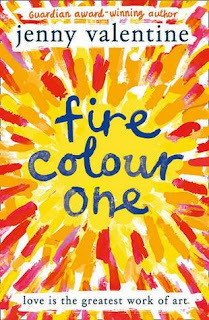 You know I don't like picking favourites ... but if I had to choose an absolute favourite from this list of books, I think I'd choose Fire Colour One. I heart Jenny Valentine just in general, but I really, really loved Fire Color One. It was a short, quick read but it was so emotional that as soon as I finished it, I wanted to flip over and start reading it all over again. I like that this book had so much to do with art and being truly yourself and authenticity. It's also a book about family and grief and about fire and consuming relationships and it's just so wonderful. Jenny Valentine is such a beautiful writer and I shall always be excited to read anything she ever writes. 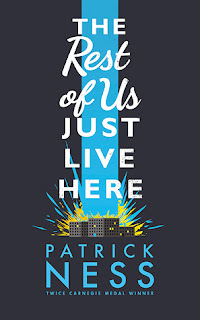 I remember talking to someone about this book recently ... and I agree, The Rest of Us Just Live Here isn't as emotionally-charged as the Chaos Walking trilogy and it can be hard to fall into the comparison hole. But I really loved this book. I loved how this book is about a circle of friends and just figuring stuff out. I loved that this book deals really cleverly with important topics such as OCD and sexuality and an eating disorder as well as it being a book about love and friendship and high school. There's a scene towards the end of the book that made me sob. It was exactly what I needed to read at the exact right timing and for that, this book is included on my list! Oh, how much did I love this book?! Fascinating main character, the wonderful Cambridge University as a setting and the most wonderful relationships ever. 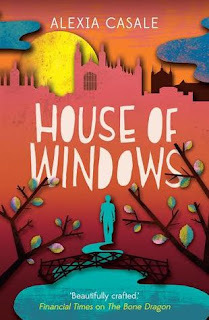 What I loved so much about House of Windows is how emotionally connected I felt for the main character and everyone in his life. All the crazy, complicated friendships and family members and how he really comes to redefine 'family' in this great way. Books about family and belonging are some of my absolute favourites so it's no surprise that Alexia Casale appears on my list of favourites yet again! Wow, this book. 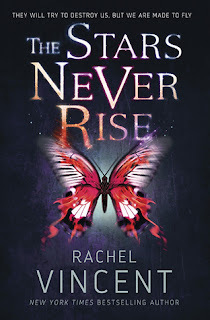 I don't think I've ever read a book as quickly as I read The Stars Never Rise. 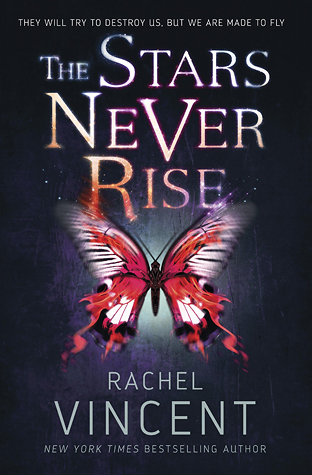 And I think that was down to Rachel Vincent's incredible writing-style. It was so fast-paced and addictive that I couldn't help but be thrown onto this rollercoaster of a ride. I love the world and world-building. I'm intrigued to know more and explore these characters more in the next books in the series. But I'm absolutely gasping to find out more about this very, very unusual romantic partnership. How on earth is that going to work?! I need answers! I need them now. 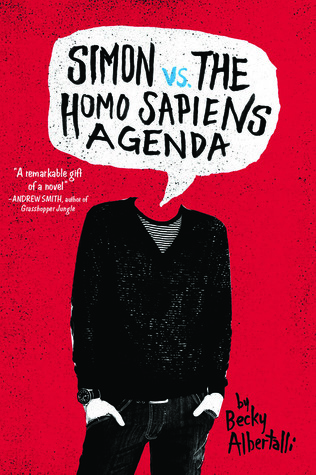 I think Simon Vs the Homo Sapiens Agenda is the book I've raved and recommended the most in 2015. It's such a sweet story and Simon and Blue are the absolute cutest couple ever. Love them. 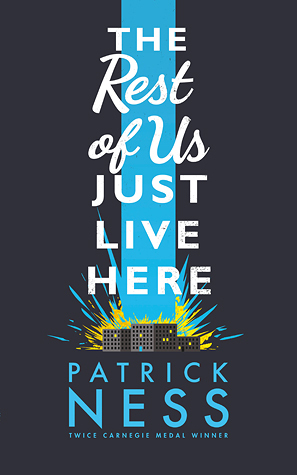 And this book, especially as it has the most adorable love story ever included but it's also about coming out to friends and family and about friendships and navigating high school and being okay with who you are and being open to possibilities. I won't be surprised at all to see this book on lots of best of the year lists. It definitely deserves it! Love this series. 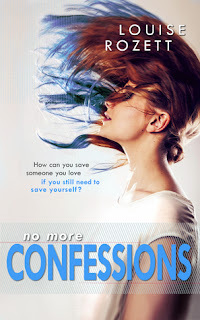 I think this third book in the Confessions trilogy by Louise Rozett was possibly an e-book only release? I'm not sure. I just could not resist finding out how Rose and Jamie Forta would end up. And I loved every second of this. I've loved seeing how much Rose Zarelli has grown in these three books. From being an angry girl to an independent young woman. Love the stuff with her family and her friendships and her music. I just thought it was an incredible way to end her story. Even if Rose and Jamie continually break my heart into little pieces! So those were my favourite reads of 2015. I'd love to hear what books make your list! 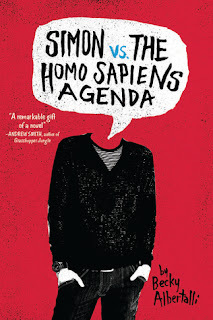 I havent read many of these but Simon vs and The Rest of Us Just Live Here stand out for me this year!